Planning for this trip began in May when Gary decided to purchase a home in Philipsburg, MT and transfer from his Utah Super Target to the Missoula, MT Target. The purchase became a bit of a nightmare with banking rules that seemed destined to derail this plan. But with patience and hard work Gary won the battle and now we are loaded and ready to travel to his new home for a couple weeks of work on the structure. The travel route is pretty simple. We leave home and stay over night in Estherville where we will load a few more tools for the project. 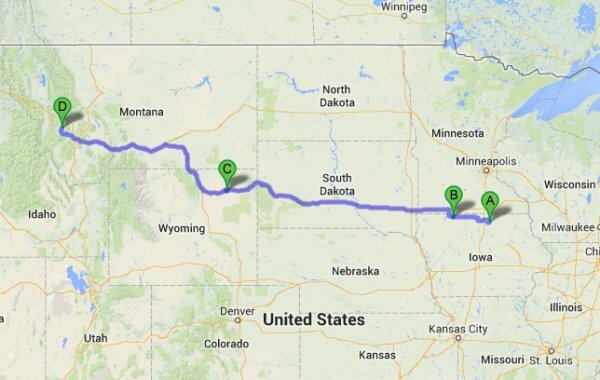 Then on Thursday we make a long drive from Estherville to Gillette, WY, with the final leg of the trip on Friday. Gary closes on the property on Friday August 23rd at 3:00 PM and we will meet him on Friday. The project will consume most of our time so updates to this page may be delayed based on time and Internet connections. 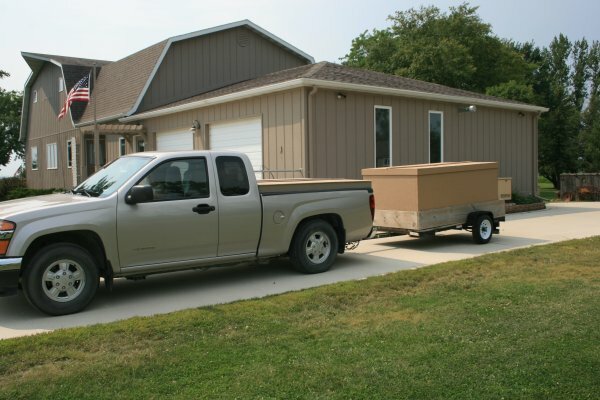 The picture below shows our Colorado pick-up and trailer loaded with tools and supplies as we prepared to depart from Mason City to travel to Estherville for the night. If you do not see a menu on the left click here to go to our home page.